Beginning in 1926 with a small citrus packing house in Winter Garden, Florida, the Caruso Family built one of the largest privately held corporations in Central Florida known as Southern Fruit Distributors. Southern Fruit Distributors, noted as one of the largest employers in the region, invested in land and citrus groves. 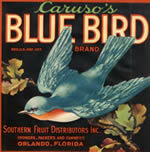 Their product, BlueBird Citrus, was distributed worldwide. 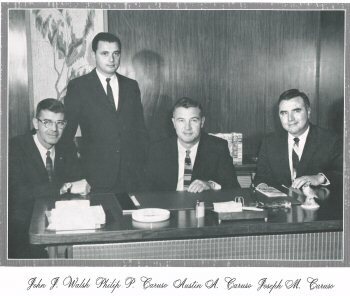 In 1986, as the citrus market globalized, the Caruso's decided to close their citrus plant and began concentrating on commercial real estate and land development by creating Pineloch Management Corporation. It is privately held and operated by the third-generation Caruso Family. Over the past 30 years, Pineloch Management has built a solid foundation in the commercial leasing field by constructing above-standard lease space and completing designed and permitted subdivision projects in Central Florida. Pineloch Management is dedicated to providing excellent products and services to our customers. We believe in our customers and make them our number-one priority. 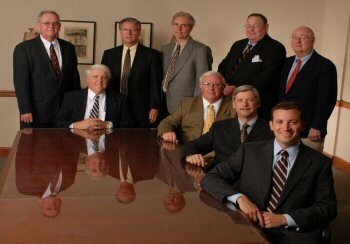 Honesty, Integrity and Ethical business practices are our core values. We aim to provide economical stability and growth to our community. By the mid-1960’s and early 1970’s, the Caruso Family had already established their name in the agricultural community as the largest single strength grapefruit processor in Florida. In the 1970’s, to complement their citrus groves in Central Florida, the family expanded their grove operations to the St. Lucie County region of Florida when they purchased over 2,000 acres in the Fort Pierce area. These groves provided additional citrus for their juice processing operations in Orlando. In 1977, with the St. Lucie grove operations and caretaking well established, the Caruso’s moved forward to include a farming venture as they joined the Neill Family of Ft. Pierce to grow tomatoes. The Caruso’s long history of growing citrus and caretaking, and the Neill’s farming expertise, led the families to form Big Red Tomato Packers in the early 1980’s to pack and distribute their produce. Big Red continues its sustainable farming, packing and distribution operations today, and has expanded to include bell peppers as well as tomatoes to its U.S. and Canadian customers.